Following the first Veto Ceremony, a high-strung afternoon on the Big Brother 12 live feeds turned into fun and games when the houseguests made a makeshift Slip ‘n Slide in the backyard. Live feed viewers got plenty of variety on Sunday with up-and-down emotions followed by playful fun in the backyard. Every now and then, Big Brother houseguests are known for making a Slip ‘n Slide in the backyard made of plastic garbage bags, soap, and water. This season’s final product was much more successful than in past seasons. 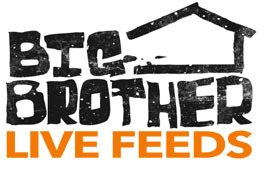 Watch the entire afternoon play out by starting your 3-day FREE trial of the live feeds and use the Flashback feature to rewind to July 11th at 3pm Big Brother Time.